Listeners in parts of North West Wales will be able to receive six additional stations on DAB digital radio on Friday. Broadcasting from transmitters in Conwy and Arfon, the new North West Wales DAB multiplex will initially reach listeners in towns including Llandudno, Conwy, Caernarfon and Pwllheli. It will provide access to BBC Radio Cymru, BBC Radio Wales, Capital (North Wales Coast version), Smooth Radio and Nation Radio (West version). Since Ofcom published details about the multiplex launch in November, Nation Hits has been added to the line-up, becoming the sixth station. For listeners in the area, the multiplex will restore access to Smooth Radio, which was previously broadcast on the national commercial DAB multiplex until mid-November. Nation Radio and Nation Hits become available on terrestrial radio for the first time in North West Wales. 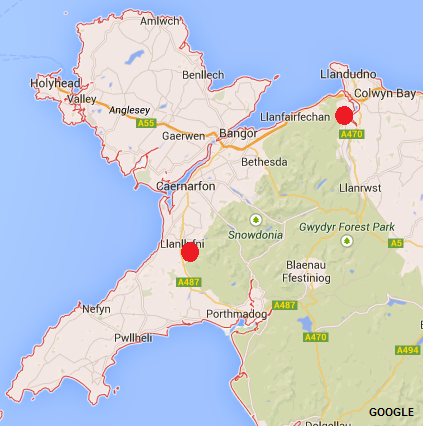 As we reported in November, Heart North Wales is missing from the local DAB service. The launch is the latest part of the Government and radio industry's bid to boost local DAB coverage across all parts of the UK. A new multiplex covering parts of North Yorkshire is expected to go live next week. Some DAB digital radio sets will need to go through a “full scan” to pick up the new services.